Applies to purchases of Trugs and Trug-Lids. Spend over £50 to receive 10% discount, over £100 for 15% and over £200 for a massive 20% discount. They’re strong, robust yet still remain flexible….. 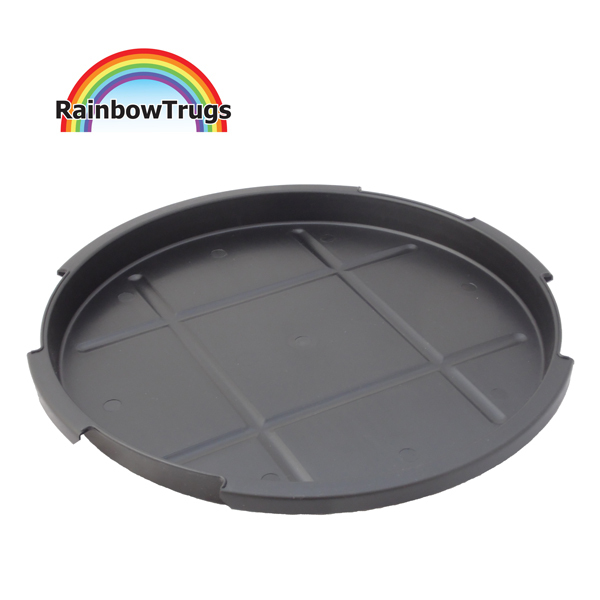 The 25 Litre Rainbow Dish has much thicker and robust side walls which makes it more rigid, whilst it still remains flexible it doesn't bend or squash and loose it's shape. Due to the high strength, flexible design they can be used for a multitude of uses. From pet beds to messy play in pre-schools Rainbow Dishes are truly useful containers to own. Perfectly safe for children and animals as they are 100% free from harmful phthalates which some manufacturers use to increase the flexibility of their products. No home, garden or school should be without 25L Rainbow Trugs! TOP TIP! Why not add a lid and turn you Rainbow Trug into the ultimate lidded container! While some people find our 25 Litre shallow trug suitable for horse feed, the vast majority of equestrian users prefer to use our 14 Litre Trugs. 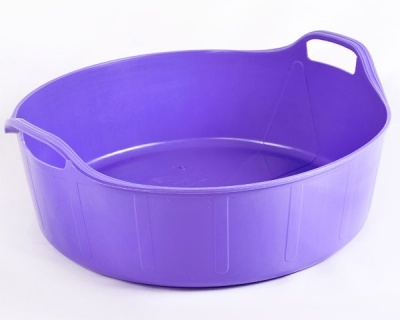 The 25L shallow trugs are thicker and stiffer for heavier duty applications, with thicker sidewall/base and are not recommended to hold both handles in one hand.